Hailing from Minneapolis / St. Paul, Minnesota and established in 2003, Pert’ Near Sandstone plays American stringband music that melds old-time sensibilities with modern song craft. Founded by four childhood friends, Pert Near’s chemistry harkens back to the family bands of yesteryear. They play with infectious energy and an undeniable joy that cuts straight to the heart. They are tireless stewards of the midwest roots music community, and proud co-founders and hosts of the Blue Ox Music Festival. Gathered around a single microphone, Pert Near has delivered their unique brand of stringband music to fans across generations and genres all over the world. They keep traditional songs from the American Canon alive, write new songs that sound like they’ve always been with us and their influence can be heard across the musical landscape of the midwest and beyond. 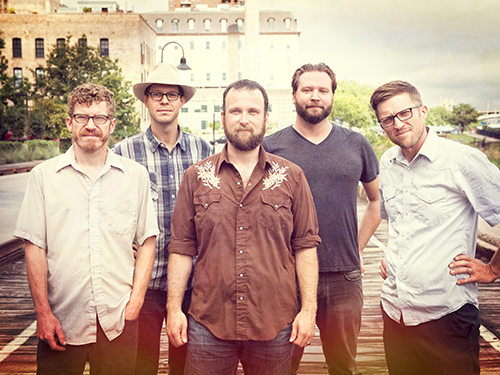 Hailing from Minneapolis / St. Paul, Minnesota and established in 2003, Pert’ Near Sandstone plays American stringband music that melds old-time sensibilities with modern song craft. Gathered around a single microphone, Pert Near has delivered their unique brand of stringband music to fans across generations and genres all over the world.